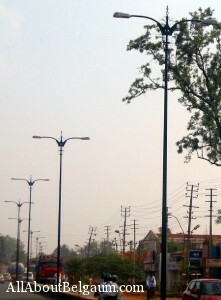 It was a surprise to see new lamp posts being replaced with the recently put lamp posts on Khanapur road. 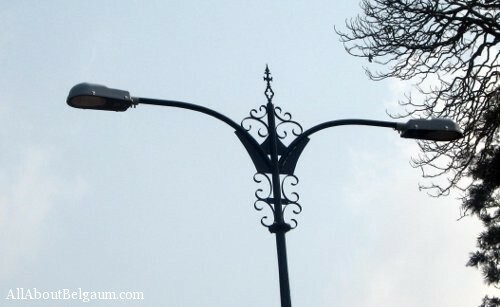 The new lamp posts are black in color and have some great design near the lamp shades which gives it a better look. 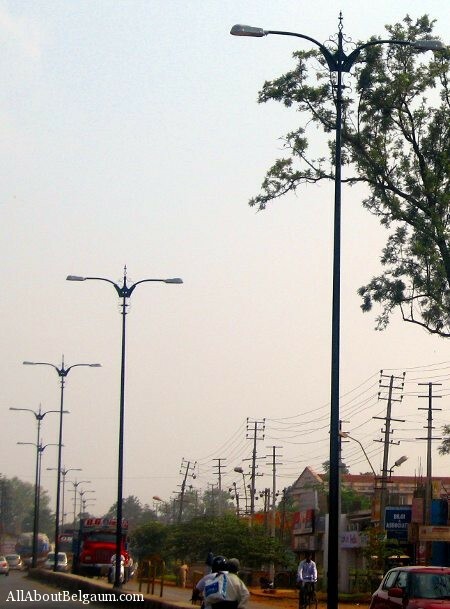 The lamp posts removed were fitted in the first week of March 2011, for the Vishwa Kannada Sammelana. 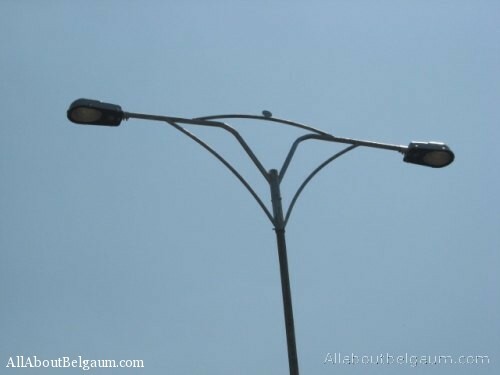 What was the need to replace the earlier fitted lamp posts with the new one is not yet known. the new lamp post looks artistic but how manys days will it work is something need to wait & watch. anyways if the intention was to adds some glamour to our city then authorities has definetly succeded in that. If they had used solar lamp post that would have been great, may be belgaum would have featured in some kind of model district. 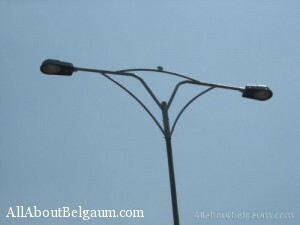 hope hescom will not do load sheding and supply current to these lamp post. What happened to the old ones.